Paprika originated in Mexico. Paprika is a spice made from grinding dried bell peppers and chili peppers. Its flavor is pretty mild in comparison to chili and cayenne peppers, which are both fiery spices. Paprika is a spice that ranges in flavor from smoky and sweet to very spicy. This is because it has a lower dose of capsaicin, a compound which is responsible for causing the burning sensation in chillies. Its color varies from bright orange red to deep red, depending on the type of peppers used. Paprika is mostly used as a garnish and for seasoning. It releases its color and flavor when heated. 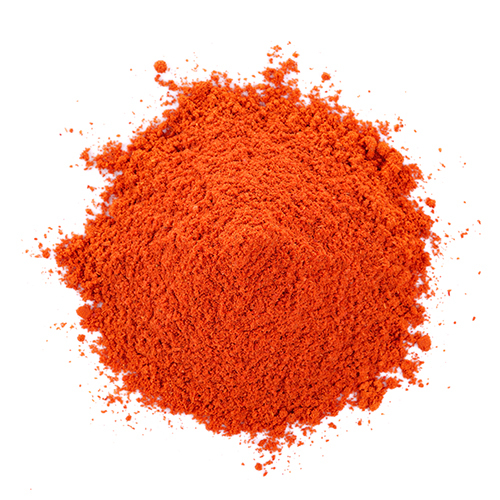 Paprika is also used by commercial food and cosmetic manufacturers to add color to their products. If you want to impart color to your dish without altering its taste, a small amount of paprika is a great option. Paprika has become one of the most consumed spice products in the world because of its importance in spice blends, including rubs, marinades, and seasoned salts. It is also popular because of the bright red coloring it can produce in foods and other products. Hungarian cuisine uses more paprika than other cultures and produces the widest range of flavors. The Spanish and Portuguese only have three flavors of paprika compared to Hungary’s six. Paprika has crossed the ocean to appear in many kitchens in North America, some like to toss it in egg recipes to give the eggs color and flavor while others prefer to use it in dry rubs for grilled meats like ribs, turkey and fish. It also goes well in hamburger mixes to give the beef a kick and a little extra flavor, especially if they are cooked over an open flame, to complement paprika’s smoky undertones. Paprika peppers are naturally accustomed to the long growing seasons of warm climates, so they take a long time to germinate from seed. And, like all vegetables, they love sunshine. They are very cold sensitive, and exposure to temperatures of 50 degrees or less can be dooming. Paprika peppers can be harvested when they turn completely solid in color. They do vary in color, so know what color your ripe paprika should be.